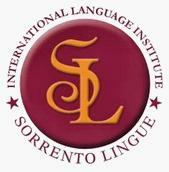 The “Sorrento Lingue” International Language Institute is based in Sorrento, Campania, in the Province of Naples, close to the enchanting Amalfi Coast, Capri, Ischia and Pompeii. We are committed to providing the highest quality language programs, being also focused on the future, and the needs of our students, academia and international partners. Through the Italian language, we aim to guide our students in their personal discovery of the rich history and cultural heritage of Italy, as well as the dynamism of its modern society. We aspire to reach out to all Italian communities throughout the world and to help them reconnect with their roots. We equally seek to enable Italians to learn new languages and discover new cultures. We are constantly revaluating our goals and seeking ways to advance our teaching methods, we maintain an environment where growth and change is encouraged, and we will always remain flexible and available to our students. Sorrento Lingue organizes study abroad programs for American Universities (short term and semester programs). in addition to the Italian language (all levels) which is an essential tool for daily life in Sorrento and to familiarize yourself with the local culture. 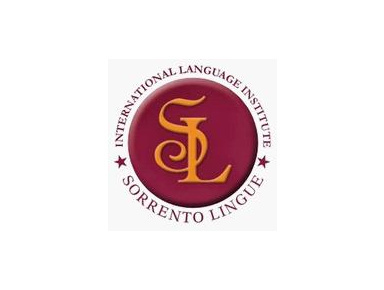 Sorrento Lingue organizes a fall semester including courses covering a wide range of liberal arts and social sciences (in English, except for those ones of Italian language). Each course consists of a total of 45 contact hours per 12-week semester. Students receive 3 credits for every course. A semester program consists of 18 credits totally. Transferring credits through the Alfred State College (SUNY network) is possible for other Universities. Faculty bring their students to Sorrento Lingue for a summer session and Sorrento Lingue provides classroom facilities for the course. Your students are registered at your university, pay your university tuition, and receive your own university’s transcripts. Your students can also register for one of SL’s 3-credit courses.